My love of photography dates back to 2009 when a friend photobombed me. This forced me to learn how to use Photoshop to remove him from the picture. Slowly I also learned how to use DSLRs and along the way I changed a couple of cameras and lenses. Since 2009 I have come a long way as I invested many hours in reading and studying photography, and of course I took thousands of photos all over the world -currently based in Yokohama(Tokyo area), Japan (after all – the best way to learn is to keep on taking photos from all angles and in any circumstance). 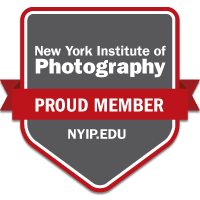 As of 16th December 2016 I am a proud graduate at the New York Institute of Photography, “The Complete Course in Professional Photography”.